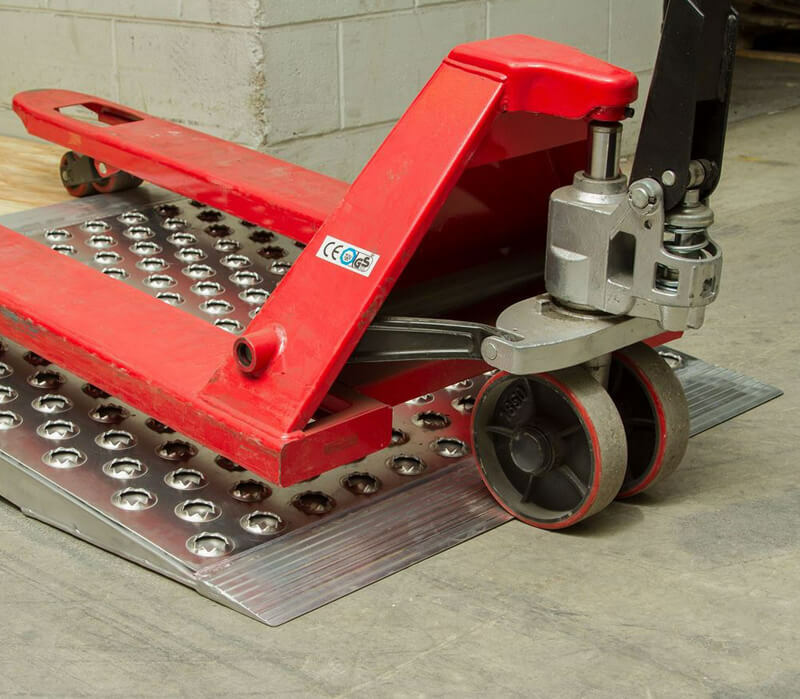 Increase efficiency by using a pallet jack or forklift to unload your next shipping container using our lightweight aluminum punch plate container ramps. These lightweight container ramps weigh a fraction of other models, allowing them to be moved by hand. The punch plate surface offers superior traction in all weather conditions. The weight capacity on these container ramps are 5,000 lbs per axle and 10,000 lbs per axle when combined and used in pairs for loading forklifts. 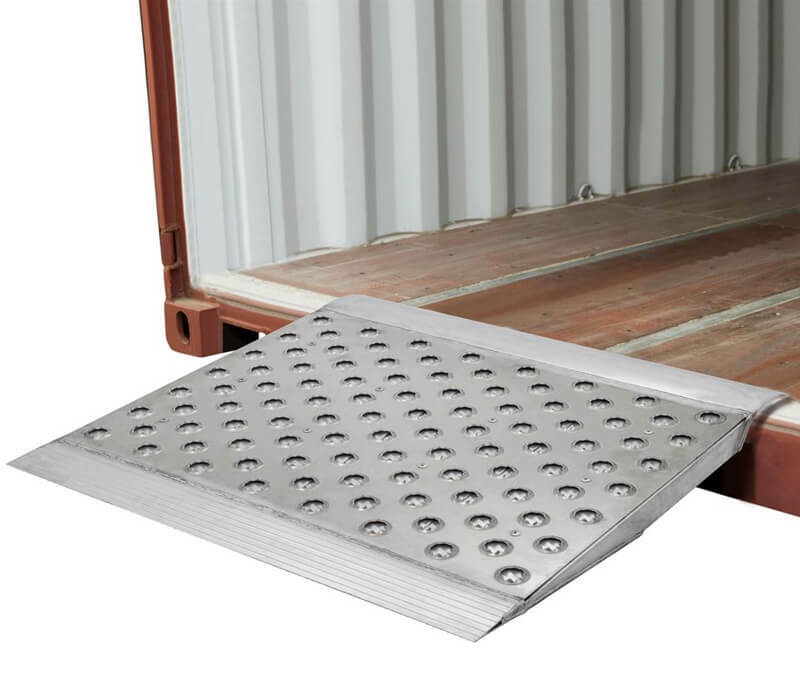 6” flat plate connecting ends and a reinforced extruded knife cut foot provide a smooth transition onto the ramp and into container.